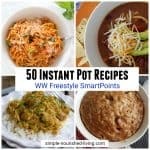 Home » Weight Watchers Recipes » Desserts » 35+ Easy Desserts and Sweet Treats with 3 Freestyle SmartPoints or Less! 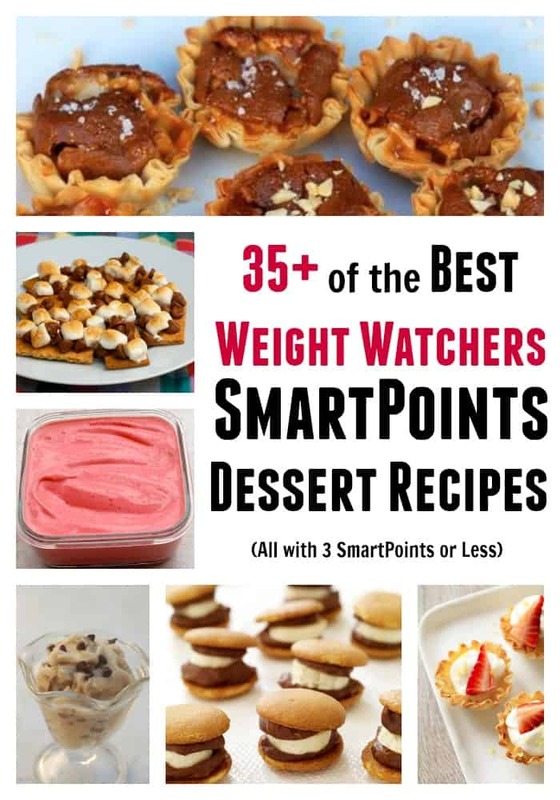 If you’re a Weight Watcher, you have discovered by now that most desserts and sweet treats have higher SmartPoints™ than PointsPlus because “sugar” is more expensive on Weight Watchers Beyond the Scale Program. Most desserts and sweet treats have the same SmartPoints value with the new WW Freestyle Program. 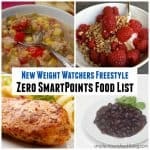 The only two new Freestyle Zero Points Foods likely to lower a sweet treat that I can think of would be eggs and nonfat Greek yogurt. So if you find a sweet treat/dessert recipe that hasn’t been updated to Freestyle, you are pretty safe in guesstimating that the Points would be the same. 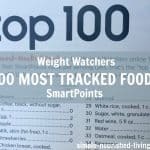 Many of my favorite baked goods have nearly doubled in points, causing me to rethink my approach to indulging my sweet tooth. 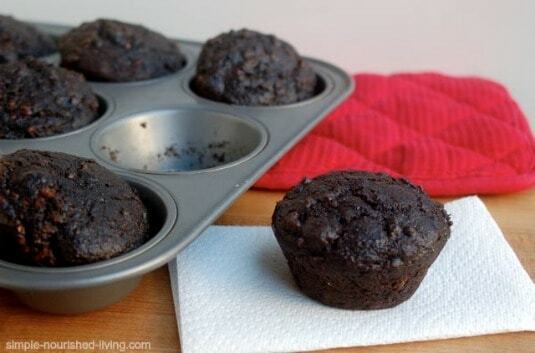 These double chocolate bran muffins are a great example. 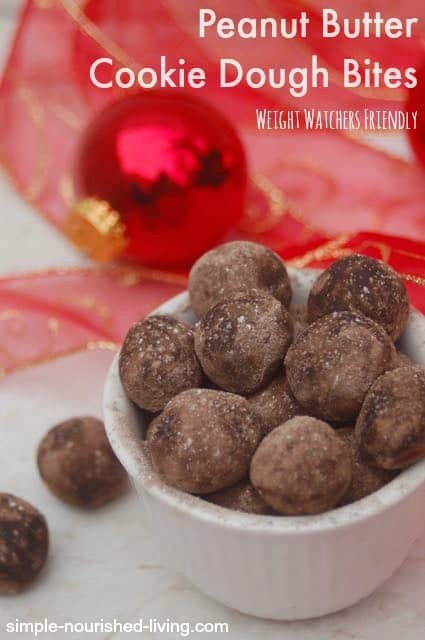 Made with high fiber cereal, whole wheat flour, and cocoa powder, these rich and chocolaty 210 calorie delights increased from *5 PointsPlus to *9 SmartPoints! Yikes!! Now a key dessert strategy is to think small – tiny cookies, mini muffins, little tartlets, cookie-dough bites, shooters etc, to lower the SmartPoints value. 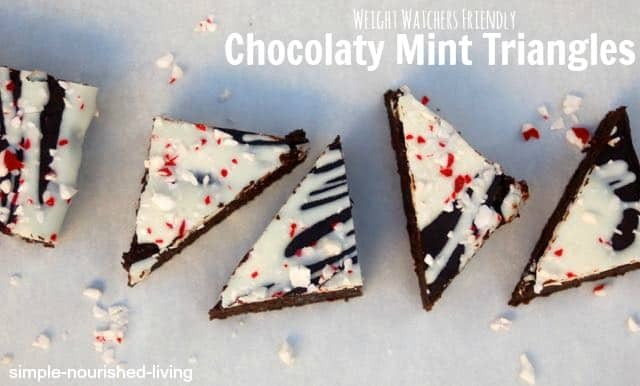 When it comes to sweet treats my new mantra is, “less is more.” And I’ve recommitted myself to asking, “Is this worth the SmartPoints?” When treats are really delicious, I find it easier to be satisfied with less. 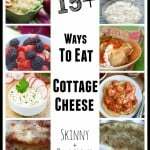 The other strategy is to fill in the gaps with fruit-based desserts, since 0-points fruits and vegetables don’t count in recipes (except when blended into beverages). 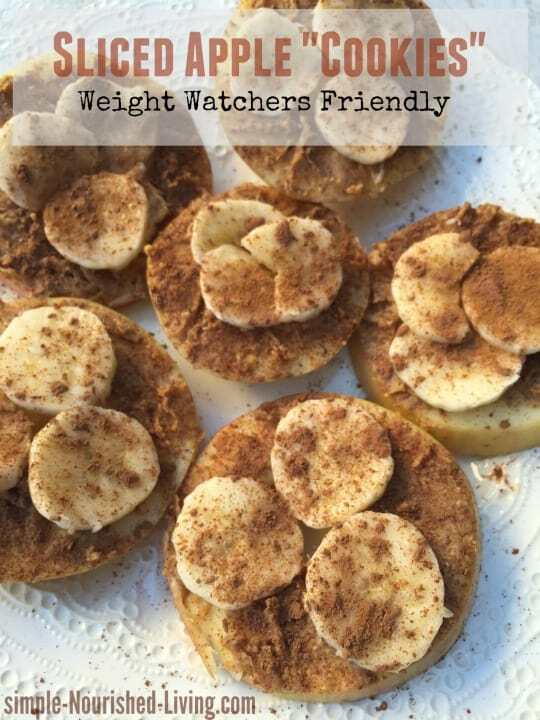 Fruit-based desserts, like frozen banana ice cream and healthy baked apples are always a great low Points choice! 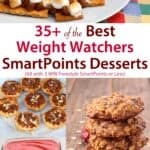 I did some searching and came up with a whole list of desserts and sweet treats with 3 SmartPoints or less. I’ll keep adding to it as I find more. If you have a favorite, provide me with the link in the comments and I’ll be happy to add it too. Enjoy! 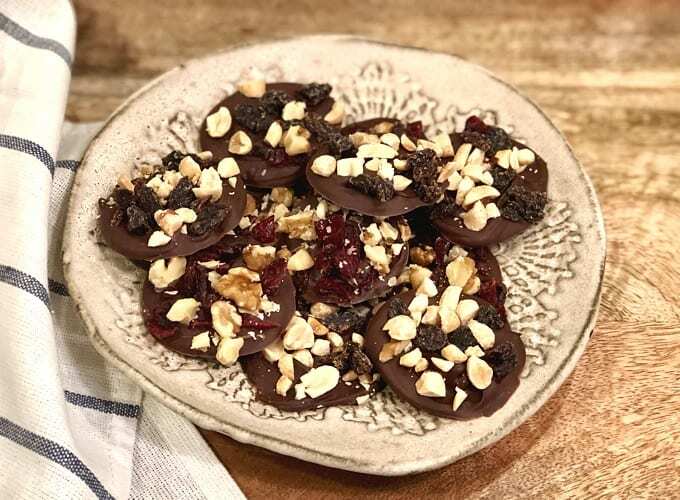 With raisins and nuts, I was able to create a low-sugar tasty treat that was extremely satisfying and super fast to make. 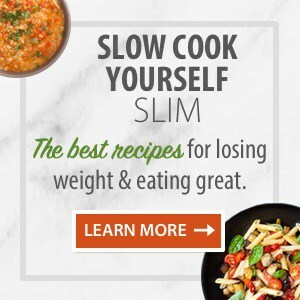 Like a homemade Nestle Chunky Bar only lighter and healthier and perfectly portion-controlled. Seriously dense and chocolaty, they contain a secret healthy ingredient you’ll never guess is there: black beans! The black beans give these delicious sweet treats a rich dark color while providing a healthy dose of protein and fiber. 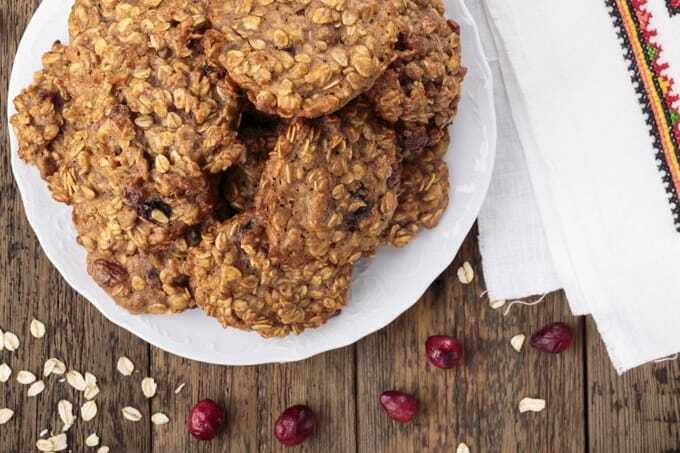 These oatmeal cookies baked up soft and chewy with just the right amount of sweetness and spice. They’ve been a hit with everyone here in the house. I hope you enjoy them as much as we have. 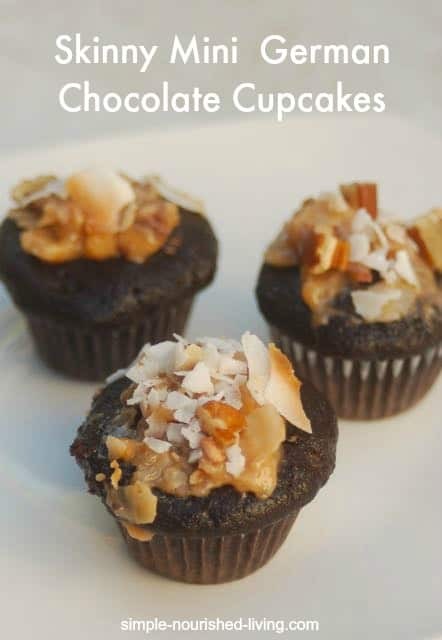 If you’re a chocolate lover like me, then you may quickly fall in love with these super-cute (and delicious) Double German Chocolate Mini Cupcakes. 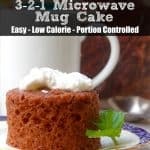 They baked up light and fluffy for me and with a little dollop of frosting, my taste buds – and belly – were singing! 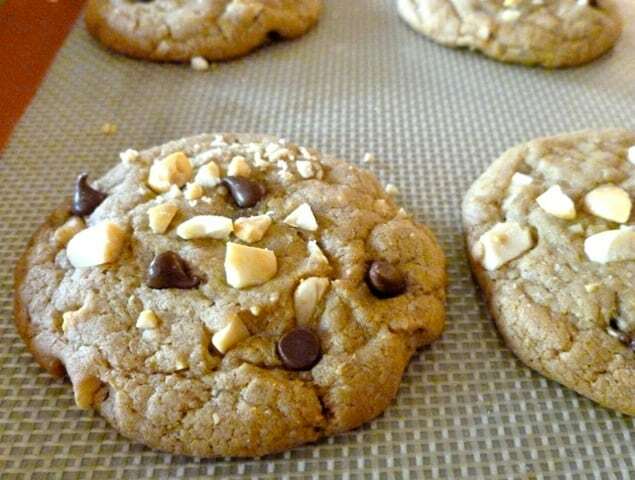 These quick and easy flourless cookies, have only 4 ingredients. 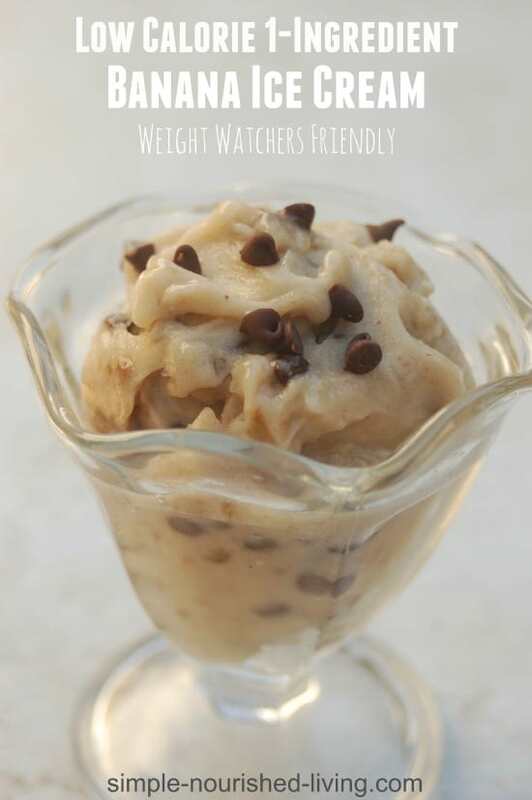 Then there is their size – little button-sized cookies with just 33 calories – perfect for Weight Watchers sized sweet treats! Much easier than a lot of other apple desserts, since you don’t have to fuss with peeling and/or slicing the apples. 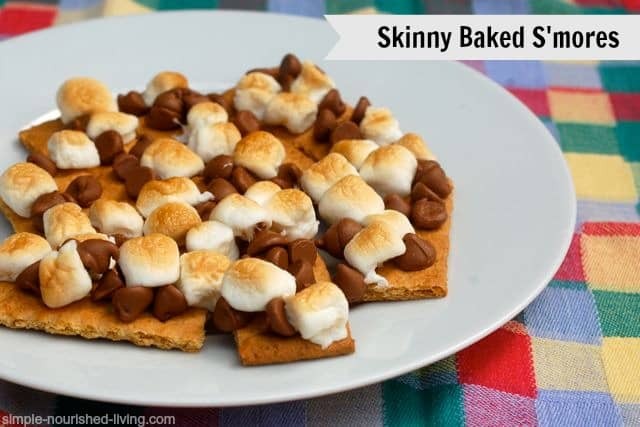 You can use whatever kind of apples you like best for this easy healthy dessert. 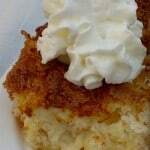 Going to make the Pineapple Angel Food Cake today. Have never made it. Hope it fits in my spring form pan! Only pan I have with me while traveling. Think I will put foil under the pan in case it overflows!